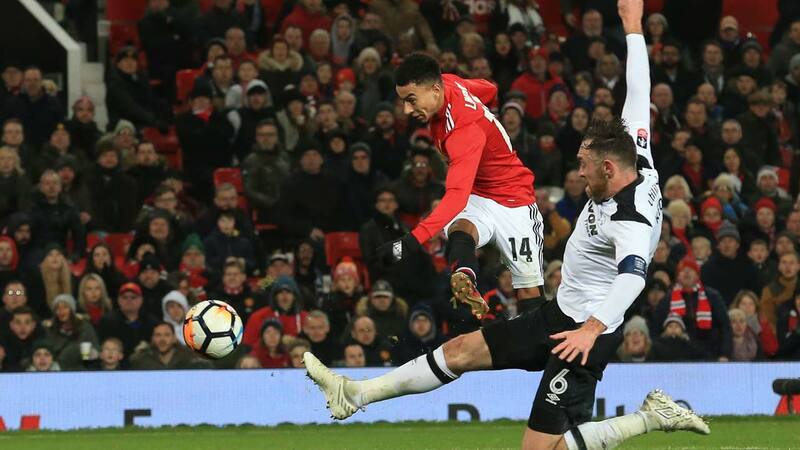 Jesse Lingard’s latest wonder strike and substitute Romelu Lukaku’s late effort secured Manchester United a 2-0 victory over Championship high-fliers Derby in the third round of the FA Cup on Friday. Both attempts, which came in the final six minutes, were worthy of a highlights package in the first FA Cup tie involving Premier League giants United in 13 years not to be televised live. United had lost just one of their previous 35 FA Cup games against lower-league sides but were heading for a replay until one-time Rams loanee Lingard, with his eighth goal in 10 games, smashed home a swerving volley, with Lukaku then adding a second having broken from the halfway line. “I was feeling that we were close to scoring and we never stopped trying,” said United boss Jose Mourinho, who said the Championship was approaching Premier League quality. “But when you get past 80 minutes and the goal hasn’t come, you fear the second match. But the team kept trying so I knew the goal could arrive. Last month’s League Cup exit and a 15-point deficit to Manchester City in the Premier League had placed extra importance on this competition, and that was evident with the strong line-up Mourinho deployed. Lingard, Paul Pogba and Marcus Rashford could all have scored inside an entertaining 19 minutes that suggested the television executives might have been wrong to snub the match. Derby were encouraged by a couple of runs from former United youngster Tom Lawrence, while Marcus Olsson forced Sergio Romero to tip his header over the crossbar, with Alex Pearce heading the resulting corner into the Stretford End. That was a good opening but nothing like the one Rashford spurned 10 minutes before the break. For once Henrikh Mkhitaryan’s delivery was perfect and an unmarked Rashford glanced a header onto a post from six yards out. 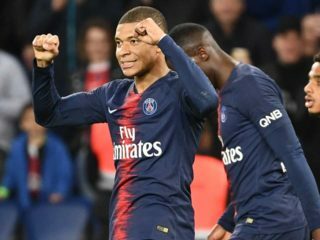 It was the type of miss that epitomised why Mourinho is reluctant to consider him as a central-striking alternative to Lukaku, whose arrival for the disappointing Mkhitaryan would soon come. Before the interval there was still time for Rams stopper Scott Carson to make two saves, one a routine stop from another Rashford header and the other a palm over the top from a Pogba free-kick destined for the top corner. Half-time substitute Lukaku’s first significant act was to close down Tom Huddlestone as the midfielder struck an effort that flew wide via an unsuspecting Luke Shaw. Rashford’s confidence, like Mkhitaryan’s, looked shot and a free-kick that failed to get beyond a one-man wall was proof of that. Pogba and Lawrence traded shots from distance that Carson and Romero pushed out before Mourinho sent for Anthony Martial. After Pogba had placed an attempt just wide, Rashford was once again denied by the woodwork. Martial’s introduction had seen Rashford shift to the right and the England international collected a pass from Lingard and unleashed a well-struck attempt that beat Carson but came back off the base of a post. There was a growing sense it was not going to be United’s night. A Lukaku header came back of the other post, albeit after the offside flag had been raised, and Pogba scuffed a rebound wide after Carson repelled Lingard’s attempt. 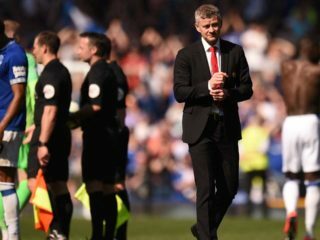 Yet Lingard would finally break the visitors’ resistance, collecting a lay-off from Lukaku, teeing himself up and dispatching a swerving attempt into the corner of the net. His 11th of the season was every bit as special as the efforts against Watford, Burnley and Everton. Lukaku got in the act in the 90th minute, controlling Pogba’s long clearance on his chest in midfield before playing a one-two with Martial and beating Carson with a powerful strike to wrap it up.